Premium quality, individually-handled, consistent with Proof-66+ grade. Some evidence of underlying host coin design may be faintly visible. Housed in a capsule and includes a small certificate. 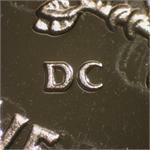 Thick "DC" mint mark type. 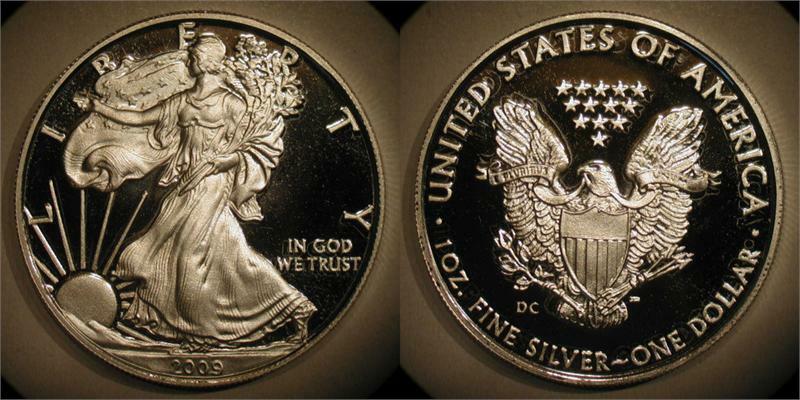 The US Mint has produced proof versions of their popular Silver Eagles in every year from 1986 through 2008, and again in 2010. 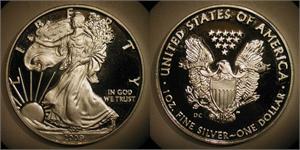 But no 2009-dated proof Silver Eagles were released by the US Mint. Each 2009-DC "proofed" Silver Eagle starts out as a US Mint produced non-proof 2009 Silver Eagle dollar with no mint mark. They are then privately over-struck with template dies to impart a proof-like finish, as well as a permanent "DC" mint mark for identification purposes. A surplus Denver Mint coin press is used in the over-striking process. The "DC" mint mark actually has three meanings: 1) the initials of the producer, Daniel Carr; 2) "D" for surplus Denver Mint coin press; and 3) the "C" is actually a crescent moon representing Moonlight Mint. With such a low mintage this Thick Mint Mark will be the most cherished in years to come. High quality workmanship is rewarded. Mint mark makes a difference! The thicker mint mark really makes this coin stand out even more so than the thin mint mark. Because of the high quality of workmanship, this coin will be one of the real tresures to have for years to come! A wise investment.